This book rejects apocalyptic pronouncements that the end of the millenium represents the 'end' of nature as well. 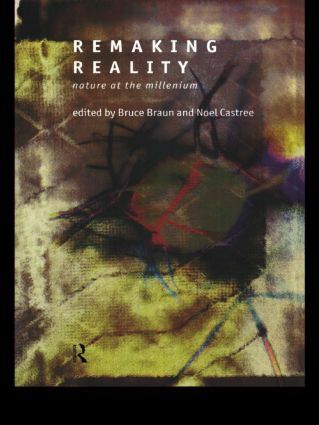 Remaking Reality brings together contributors from across the human sciences who argue that a notion of 'social nature' provides great hope for the future. Applying a variety of theoretical approaches to social nature, and engaging with debates in politics, science, technology and social movements surrouding race, gender and class, the contributors explroe important and emerging sites where nature is now being remade with considerable social and ecological consequences. The essays are organised around two themes: 'capitalising and envisioning nature' and 'actors, networks and the politics of hybridity'. An afterword by Neil Smith reflects on the problems and possibilities of future names. For critics and activists alike, Remaking Reality provides essential theoretical and political tools to rethink environmentalism and progressive social natures for the twenty first century.